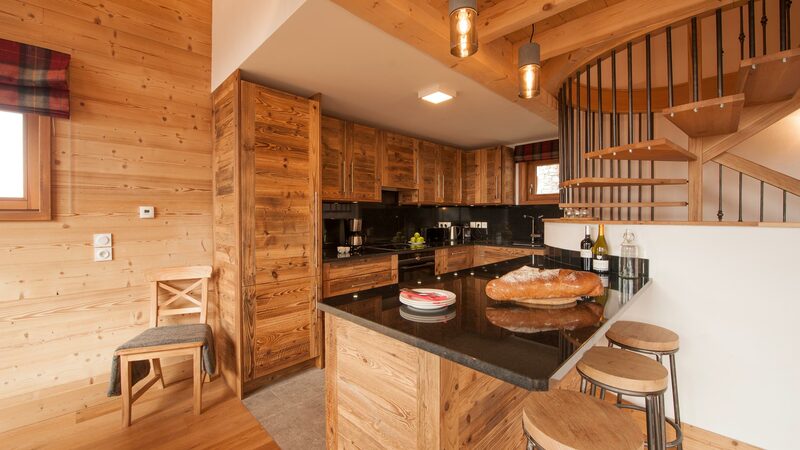 Tastefully furnished throughout with a mix of rustic and contemporary décor and lighting, featuring heavy fabrics with luxury and comfort in mind. 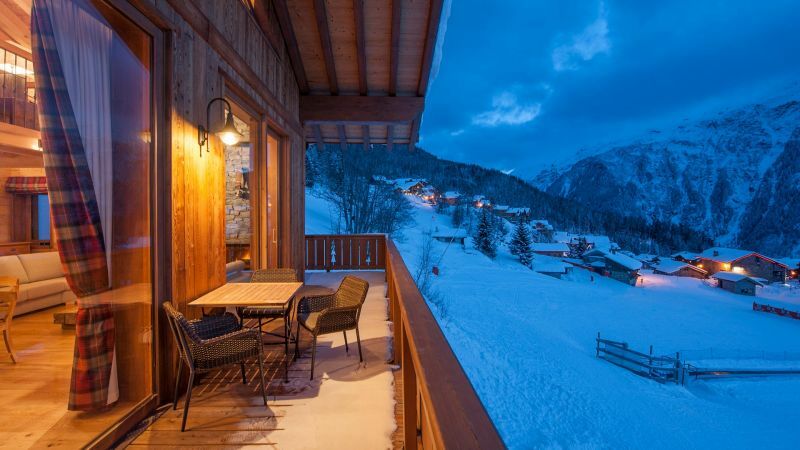 An unrivalled location with ski-in, ski out access to the pistes and panoramic views over the nursery slopes and mountains. Ground Floor & Garage: The ground floor entry level has a toilet, plenty of built-in storage, and access to the garage with washing machine and tumble dryer. 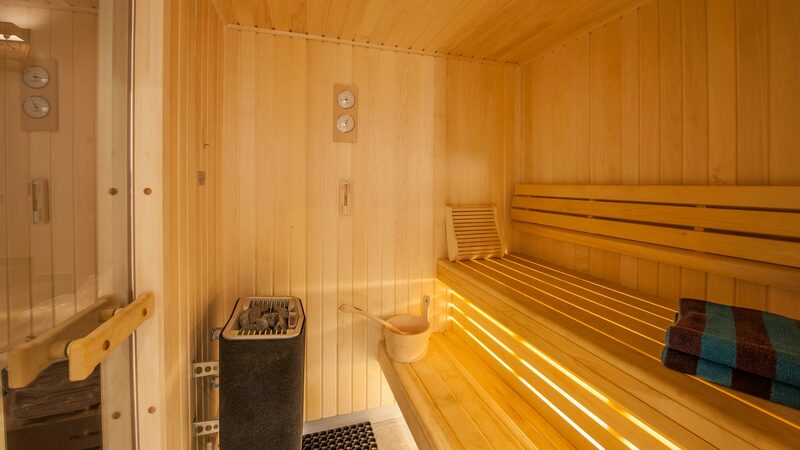 The Sauna with separate shower is also located on this level. There is underfloor heating throughout. 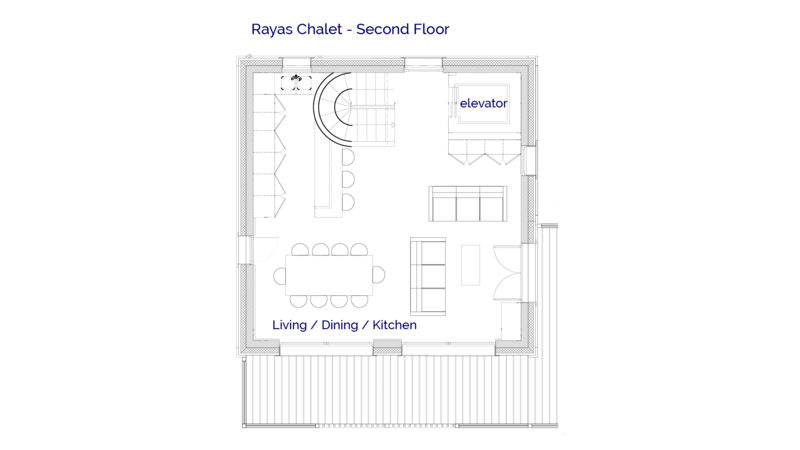 A curved feature stairway runs from the ground floor up to the open plan kitchen, dining area and living room on the second floor (also accessed by elevator). 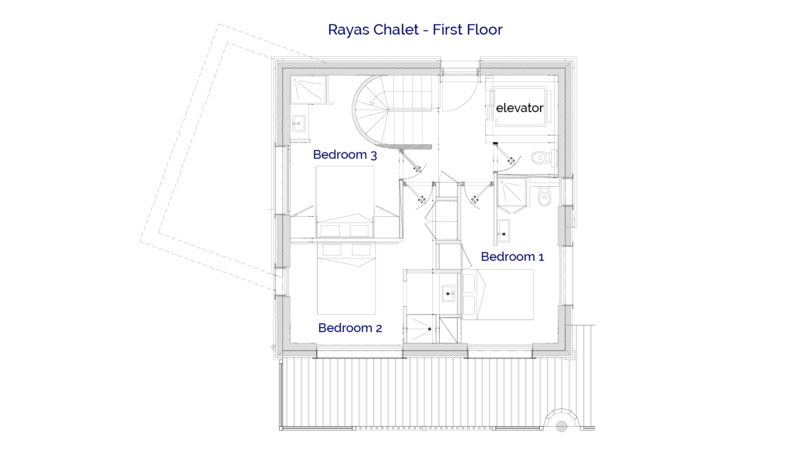 The Bedrooms: Spread over three floors, plus an additional mezzanine level, the 4 bedrooms occupy the lower two floors – one on the ground floor and three on the first floor. 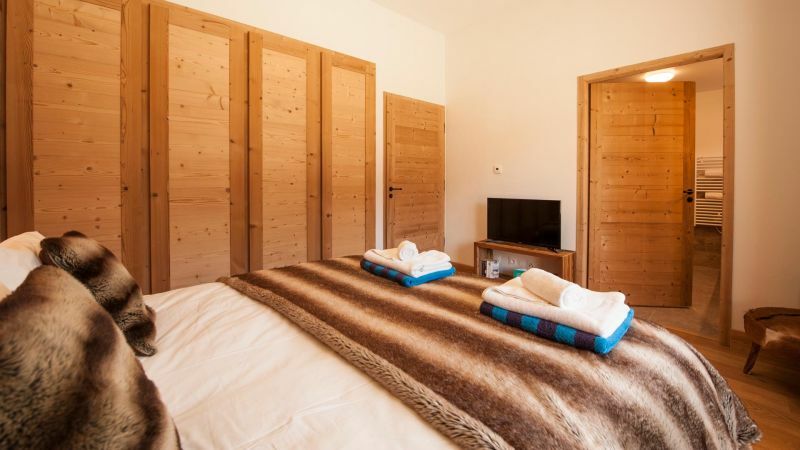 The ground floor bedroom is spacious and wheelchair accessible, with a large en-suite bathroom with bath, shower, and W/C. 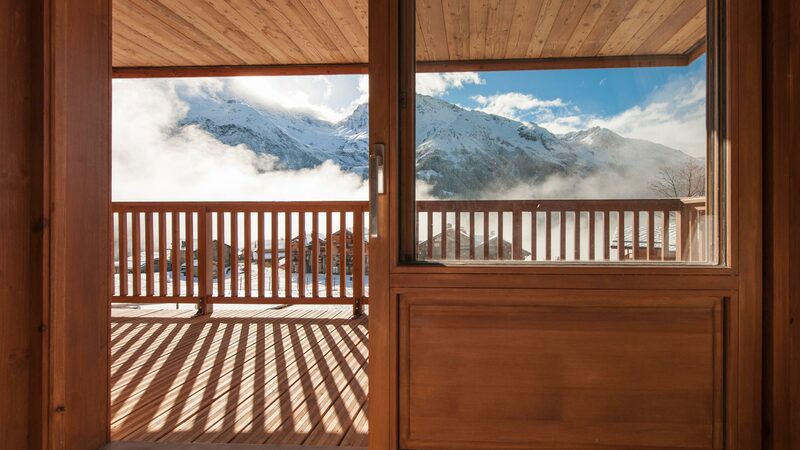 French doors access a terrace area in front of the chalet overlooking the surrounding mountains, the nursery slopes and the heart of the ski area. 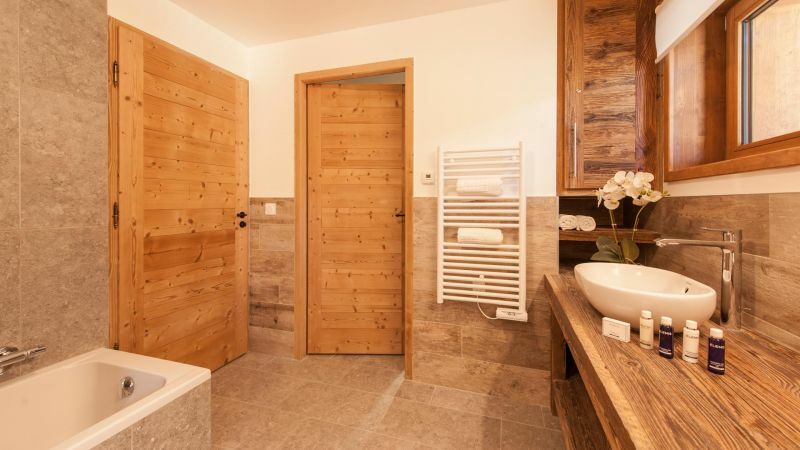 The sauna and separate shower room are next door, accessed from the bathroom or hallway. 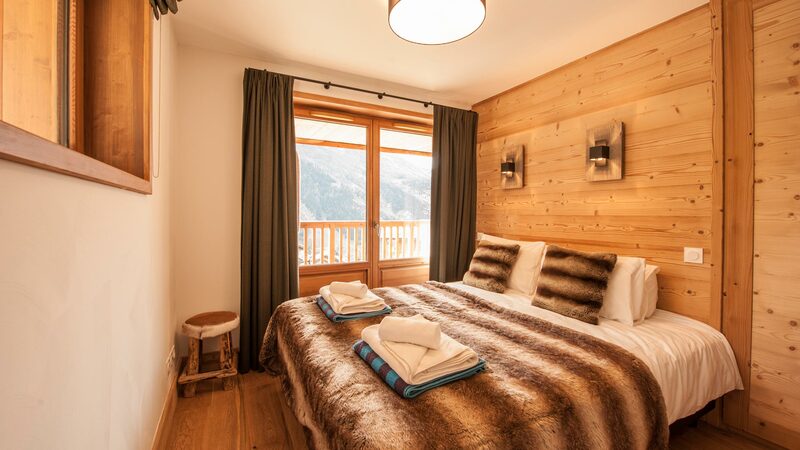 3 bedrooms are on the first floor, each with shower rooms and sinks, with bedrooms 1 & 3 also having access to a large shared balcony overlooking surrounding mountains, the nursery slopes and the heart of the ski area. 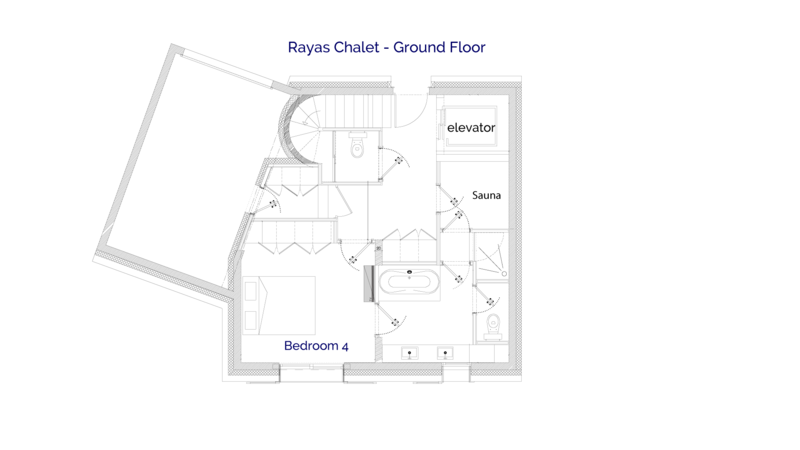 Bedroom 1 includes W/C en-suite, with a further W/C in the hallway. 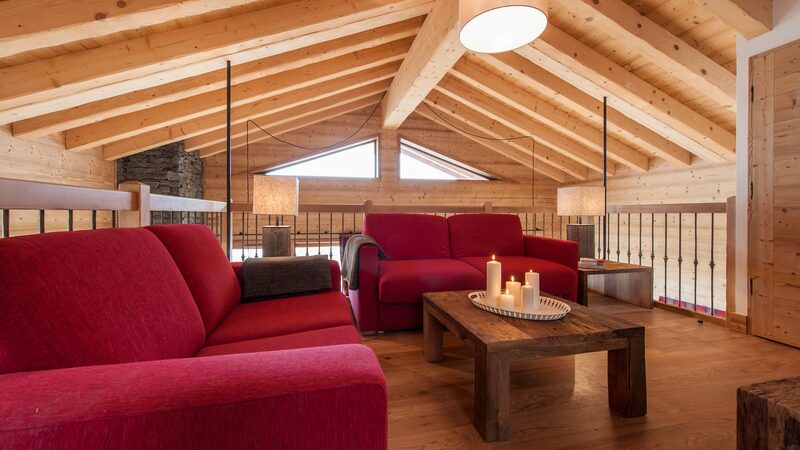 The Living Room: Open plan with the kitchen there is plenty of seating around the log fire, the living room has a further lounge area on the mezzanine level above, equipped with W/C and additional sofa bed. 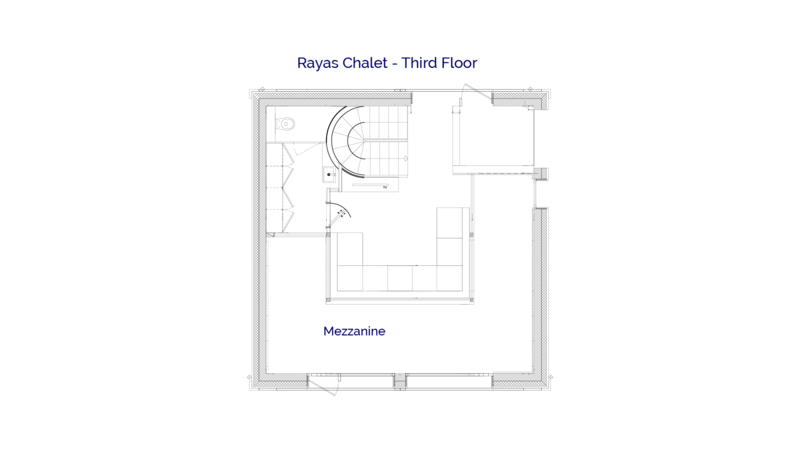 Large windows and L shaped balcony over 2 sides of the building offer plenty of light as well as 270 degree views. 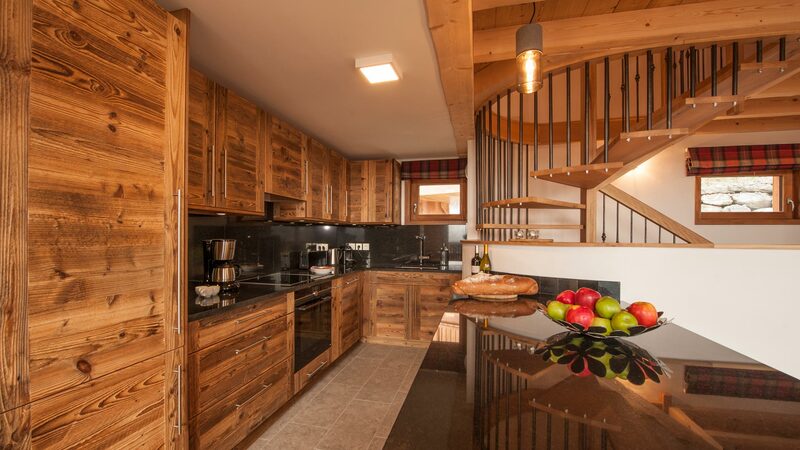 The Kitchen: well-equipped with breakfast bar, granite worktops and quality appliances including dishwasher, fridge/freezer, microwave and induction hob. Click on the plan below to see an enlargement. Your holiday balance is payable eight weeks prior to arrival. A beautiful quiet child friendly luxury resort. Not sure we can ever go back to a bigger resort after this - we've pretty much had the slopes to ourselves. 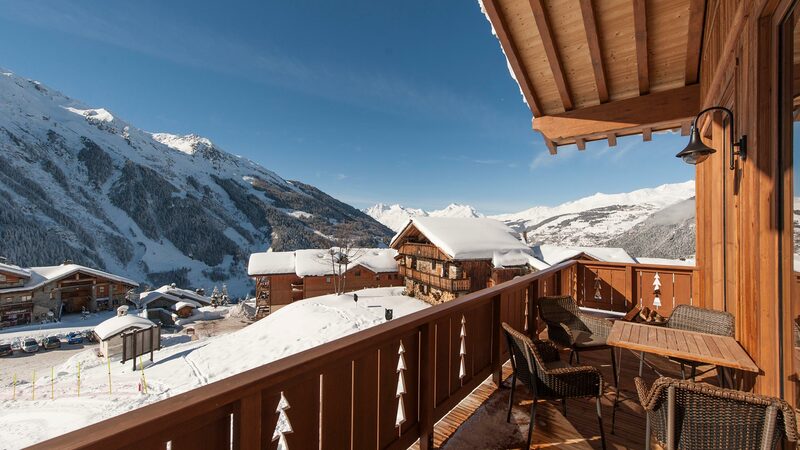 Excellent skiing quiet slopes and all abilities catered for. 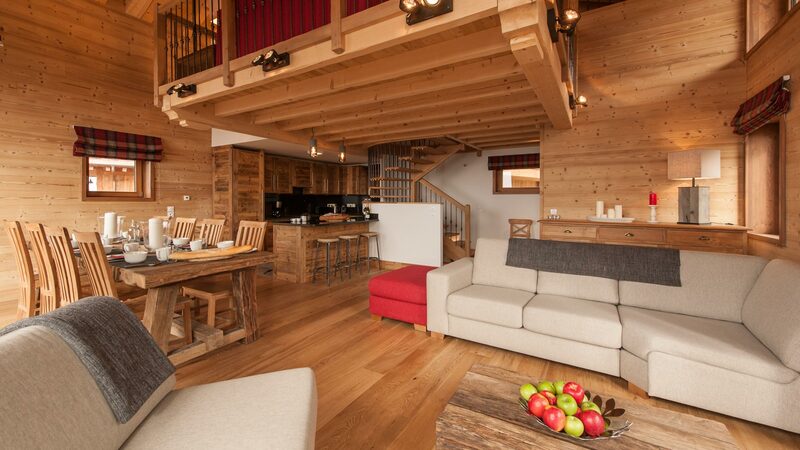 It's difficult to find a better place for all the family! 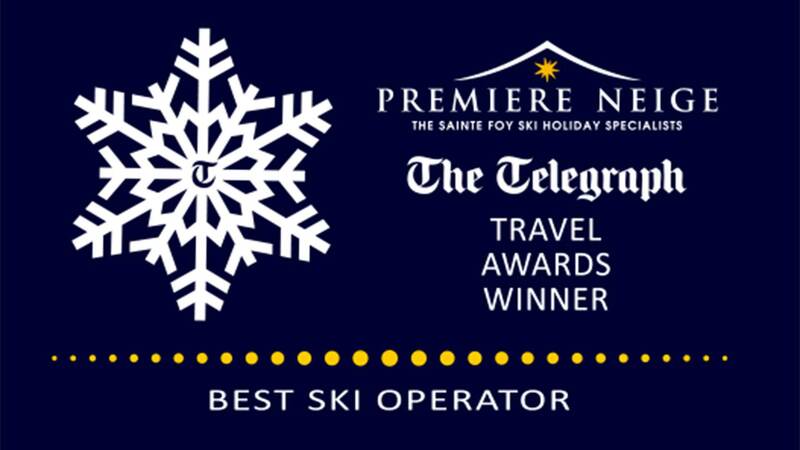 We've been coming to Ste Foy for over a decade and never tire of the quiet slopes, wonderful variety of off piste, lack of queues for the lifts and excellent snow conditions. 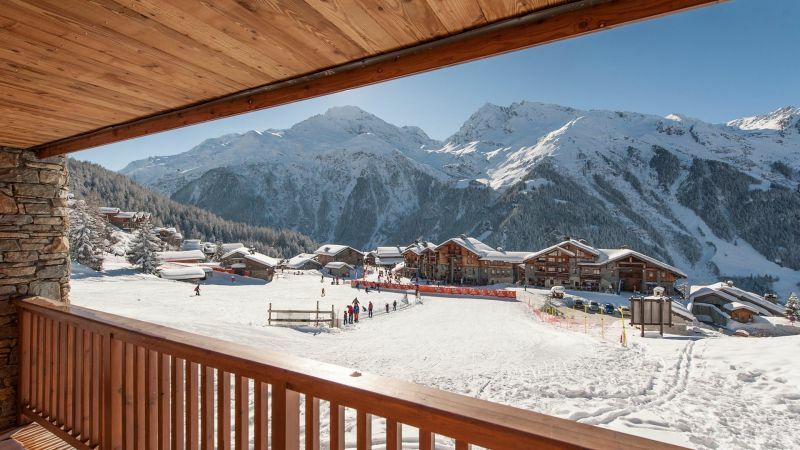 With 2 small children it has always felt like a safe haven for them and every day we can often see them in their ski lessons - which always puts a smile on my face and my mind at rest. The pistes of sleepy Sainte-Foy offer skiing as it should be. Tucked away in the Tarantaise valley between the attention-grabbing ski resorts of Les Arcs, Val d'Isère, La Rosière and Tignes is charming, low-key Sainte-Foy. People think Sainte-Foy is four lifts and eight pistes, but it's not, it has closer to 2,000 runs, because you can ski the whole mountain. When you get to know this special place, the mountain will talk to you. This is skiing as it should be, not as it has become. 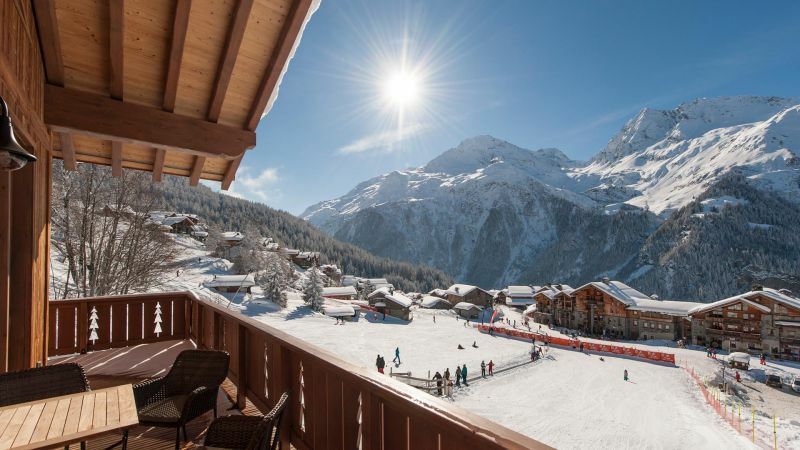 Sainte Foy, the charming chocolate-box French resort, is a go-to destination for off-piste skiing. The small, family-friendly town is hailed the 'jewel in the crown' thanks to its location, nestled between four world-class resorts. 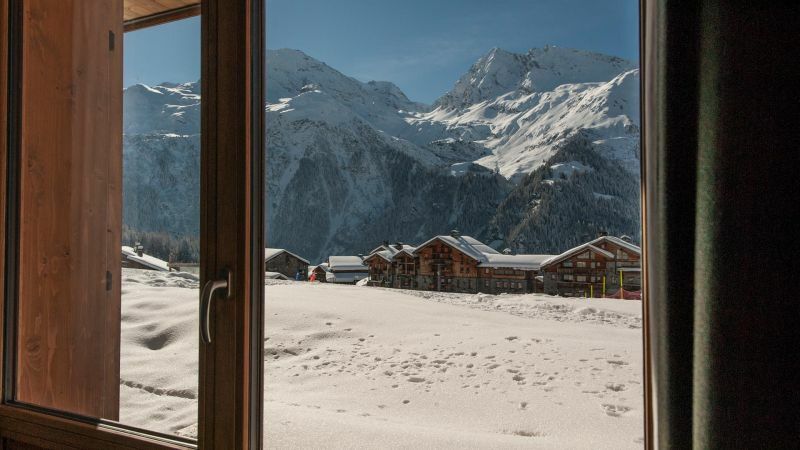 This hidden gem is nestled amongst big hitting resorts such as Tignes and Val d’sere in the Tarentaise Region - But should not be missed. 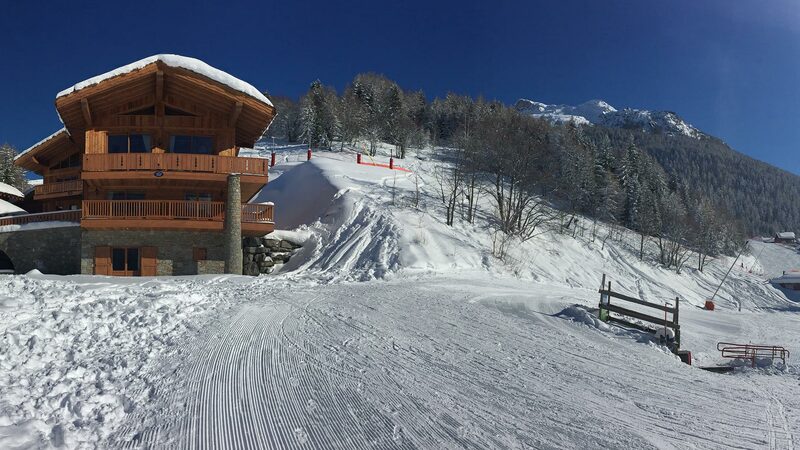 Yes, there are only four lifts, but these open up a huge amount of fantastic skiing, especially the off-piste in the Vallon de Clou over the back. 10km powered faces and lines through the trees lead you down through ancient farming villages that are a world away from the mega-resorts further down the valley. 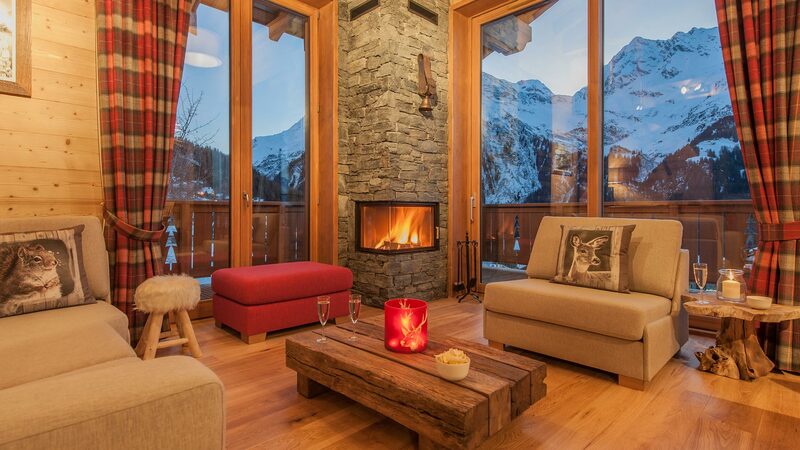 We have skied most resorts and countries in Europe, and some in North America. 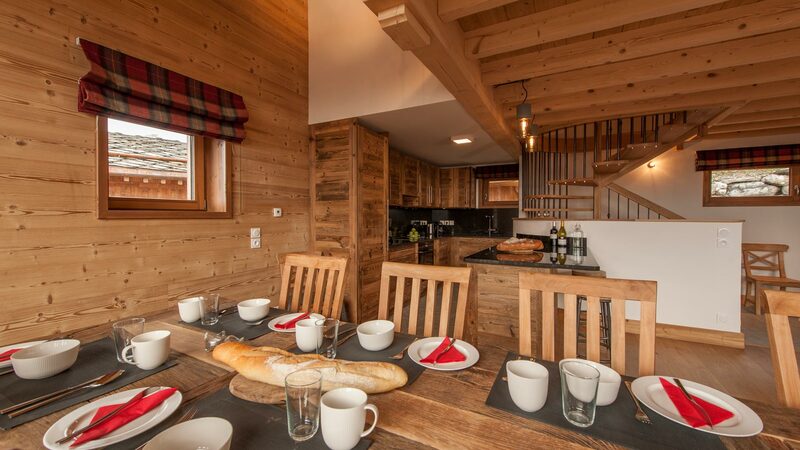 St Foy is perfect for a family holiday, and perfect for a range of skiing abilities. It’s still quiet after all these years and has just enough of everything without being excessive. It feels authentic. 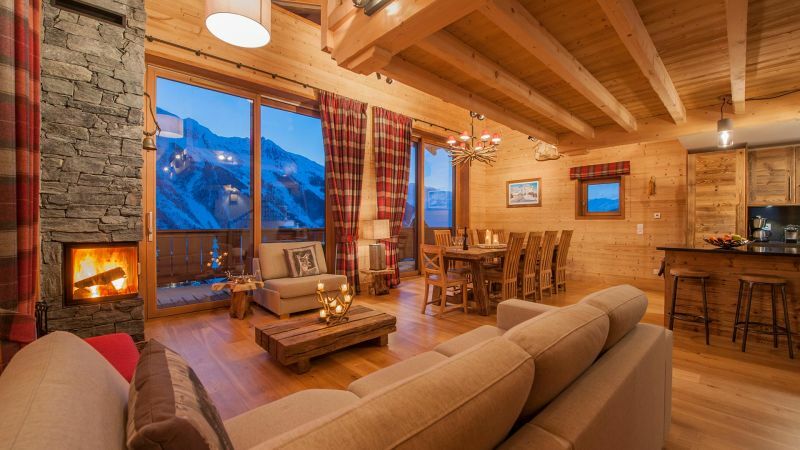 It’s great for both first time skiers and the more experienced and adventurous. We’ll be back!